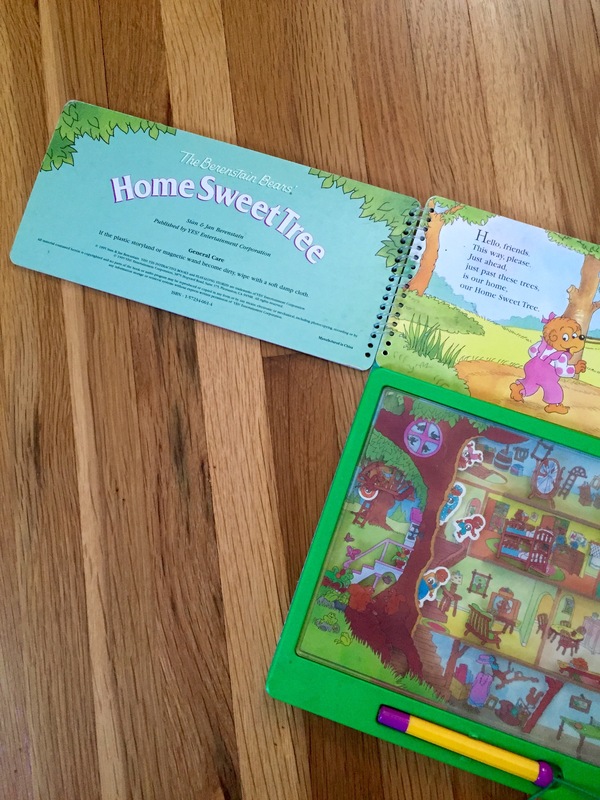 The Berenstain Bears Home Sweet Tree (Random House, 1997) with 60 flaps to lift and learn! 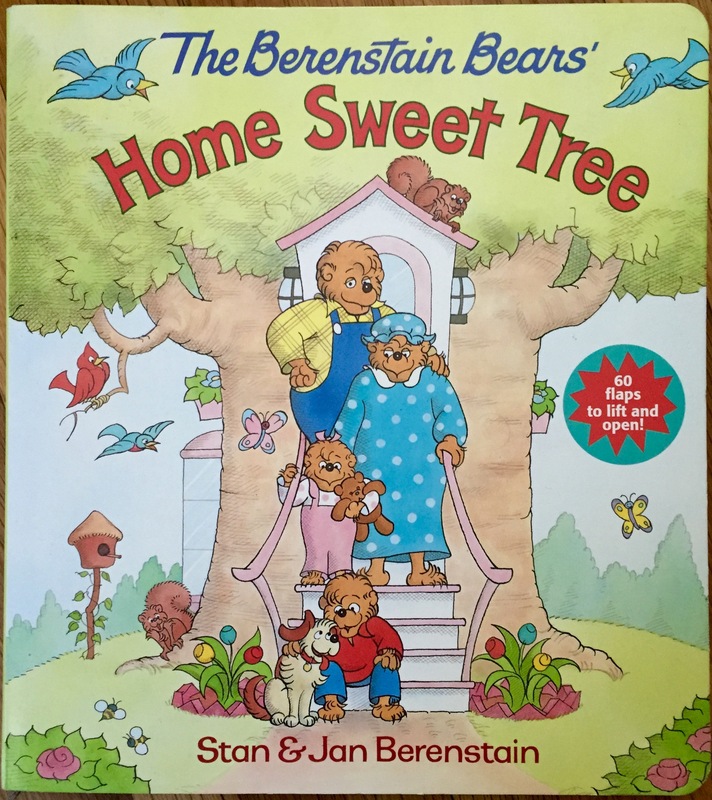 The Berenstain Bears’ Home Sweet Tree (Yes Interactive, 1995) featuring magnetic bears who can move from room to room! As a child, “The Big Treehouse Deep In Bear Country” was one of my favorite sources of imagination and inspiration. The tree itself. I just wanted to live in a tree like the Bears. (Not the treehouse my dad constructed eight feet above ground atop the wide trunk of a recently deceased elm tree … but, boy, in retrospect, wasn’t that cool?!) But a treehouse that you actually LIVED in like the Bear Family. 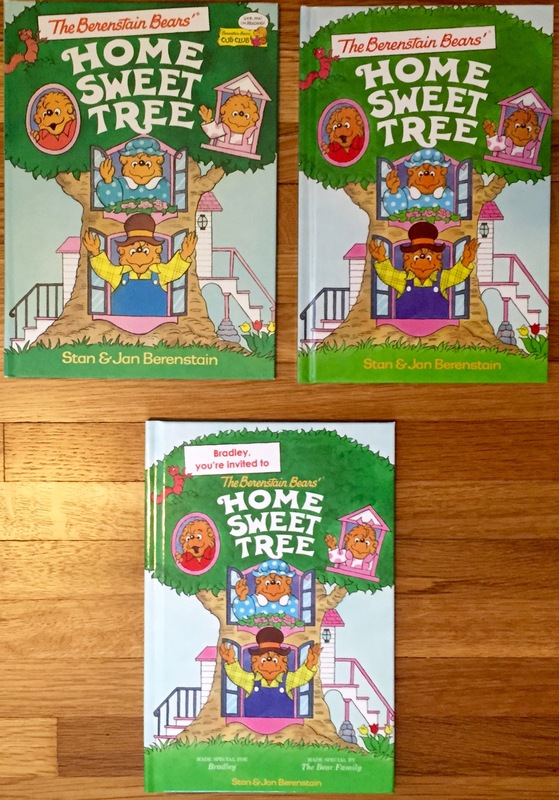 The Berenstain Bears’ Home Sweet Tree (Put Me In the Story, 2013) [story itself is reprint of Cub Club edition] CUSTOMIZE A COPY NOW! The personalized editions from PutMeInTheStory.com are still available and make great gifts! The other editions are out of print but can be found by searching sites like ABE.com, eBay, or Amazon. The original Cub Club verision, the Sourcebooks Jabberwocky reprint, and the Put Me In the Story personalized edition. All three are essentially the same story and illustrations but the personalized book is by far the coolest! We are desperately searching for the book in which Papa Bear is pushing his wheel barrow and it gets stuck in a rut….. 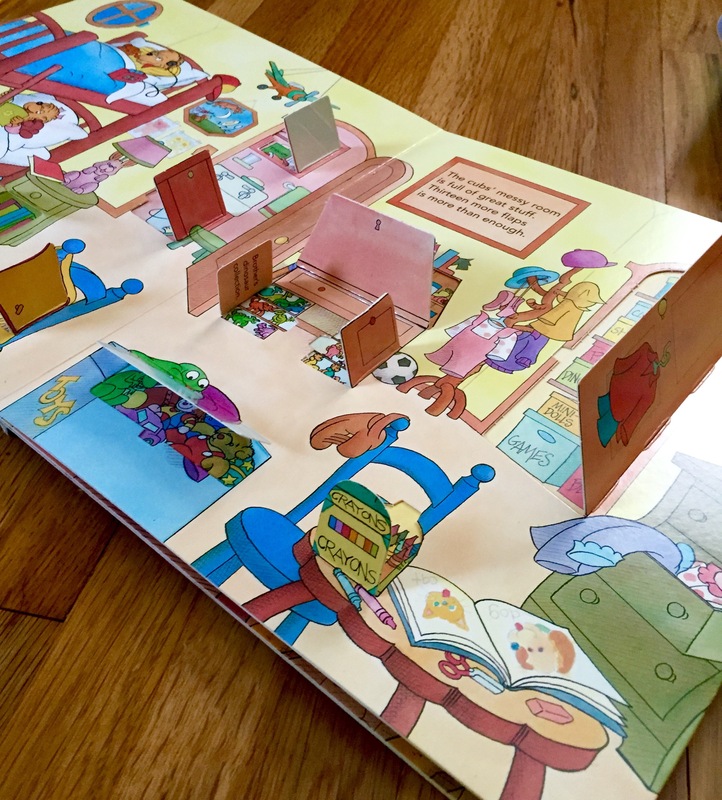 I have looked inside the copies of the books at several Chapters locations, tried Berenstain Bear websites, but we still haven’t found it ! We’d be so grateful if anyone here knows which book it’s from ! Are you positive this is from a book (not the cartoon series or maybe a puzzle or game?) We cannot find this.